Hakuba Village, located in the mountainous Northern Alps right in the middle of Honshu, is a well-known and popular ski resort area that also served as the venue for the 1998 Nagano Winter Olympic Games. However, not as many people know that there are nine ski slopes within the Hakuba Basin and that Hakuba is an international winter tourist destination drawing over 230,000 visitors from Oceania and North America during snow season. “I’m very happy that I’ve been able to help introduce Hakuba internationally. Skiers and snowboarders from overseas love the powder snow in Hakuba—they call it ‘Haku Pow’—including a world-famous snowboarder who came to visit and stayed at our place in 2017,” says Hakuba-based Daniel Bacon. Bacon launched his first venture here in 2007, a Western-style rental house for long-term stays called Hakuba Holiday, and has vigorously extended his business since then. He welcomes guests to five apartment buildings with a total of forty-one rooms and a maximum capacity of ninety-four people. Along with a British business partner and beer brewer who also lives in Hakuba, Bacon also runs a craft beer brewery and a nearby British pub. A native of Melbourne, Australia, Bacon came to Japan with a single backpack in 2000. His days were busy, working as an English teacher and then as a foreign executive recruiter at a Japan–based firm. 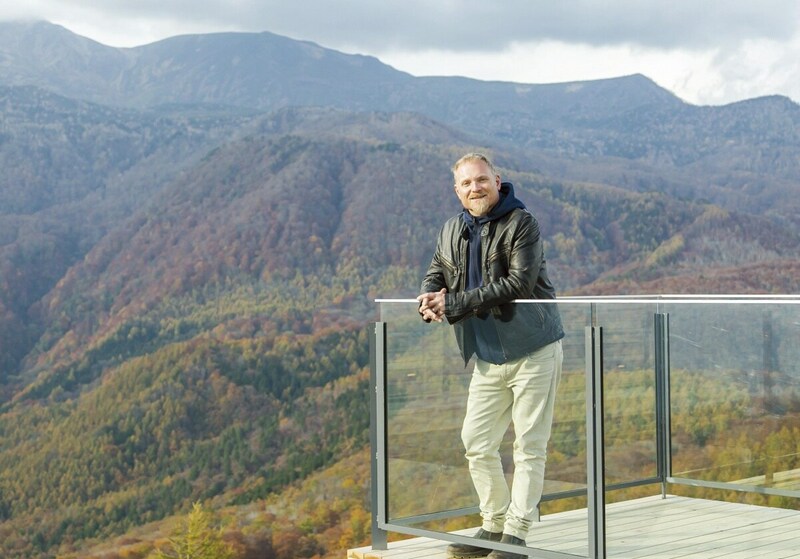 While he was learning the key to connecting Japan and overseas countries through business from the CEOs he met at work, he visited Hakuba on vacation and found it to be a beautiful place full of possibilities. “For someone who grew up in the majestic nature just an hour from Melbourne, every season in Hakuba is great,” he states. “I had an instinct that foreign skiers would love this place.” Knowing how Westerners like to spend their long vacations, he established an apartment-style lodging facility rather than a hotel, offering rental apartments with a kitchen and multiple bedrooms. Even better, guests could don their skiing equipment and get on the lift from right in front of the place. Bacon’s place immediately became hugely popular. 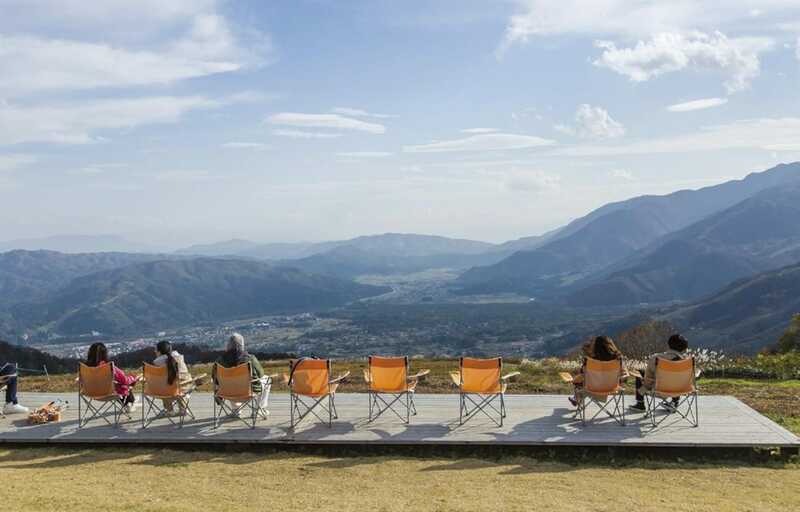 Bacon’s eyes have proved keen, and now there is a boom in Hakuba where foreign tourists arrive on direct buses from Narita and Haneda airports. Tourists cooking for themselves go shopping at large supermarkets in the vicinity, and at peak times the thousands of customers from overseas make the local scene truly international. Surrounded by the grand nature of the Northern Alps and blessed with family and friends, Daniel smiles. “I’ll keep trying to expand the business. Ideally, I’ll split the time I spend in Australia and in Japan in half for the family. I cannot think of a better life than this.” Clearly, Hakuba’s natural beauty has made his life a fulfilling one, and he’s doing his best to ensure that visitors here feel just as satisfied.